Origin: Treuchtlingen, Petersbuch and Eichstätt (Germany). Appearance: Ochre-yellow-beige background, with natural glass or quartz veins and occasional fossils. Properties: Colour variations may occur. Quartz veins and other natural elements are part of the structure of the stone. Open holes and small quartz veins are filled with polyester resin. Jura Beige is sensitive to wet conditions and is not frost resistant. 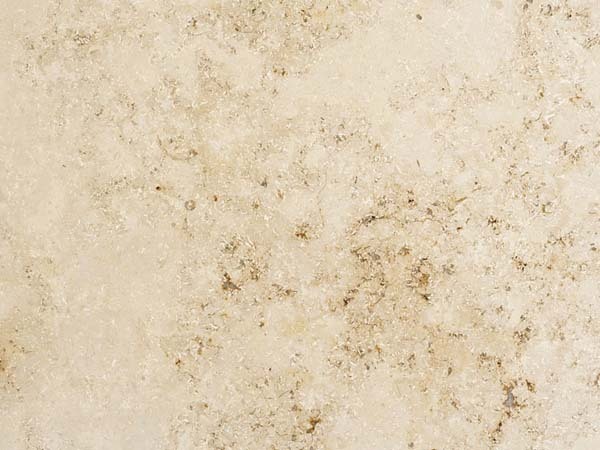 Use: Due to its good wear resistance (class 4), this natural stone is suitable for internal use in both domestic and in public environments with moderate and intensive traffic. Finishes: Polished, honed and custom-made finishes.